This site was formerly known as Lower Upnor Quarry and Cockham Wood; there is an extension and a number of small deletions. Part of the site will be listed in the "Geological Conservation Review". The site is of both biological and geological interest. It contains woodland representative of that on Tertiary deposits in Kent and supports a rich insect fauna. Geologically, Upnor Quarry exposes a complete Tertiary stratigraphic sequence. Upnor Quarry exposes a complete Tertiary age stratigraphic sequence from the Thanet Sands, through the Woolwich and Oldhaven Beds, into the lower part of the London Clay. 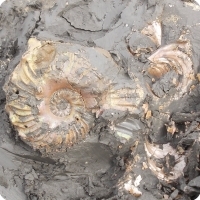 The Woolwich and Oldhaven Beds are of particular interest, both in the sedimentary evidence they afford of depositional conditions, and in the abundant molluscan fauna that they yield. The complex lateral facies changes in these formations make Upnor a vital site to be viewed in comparison with other Palaeogene localities in the eastern London Basin.